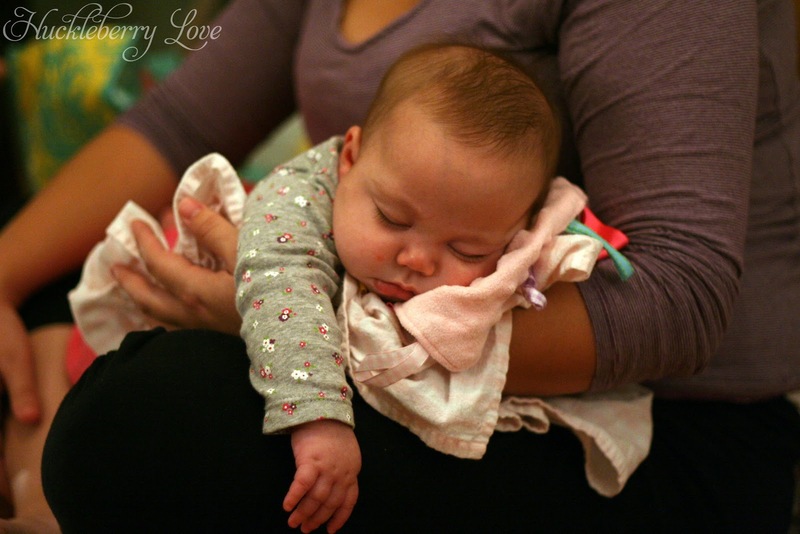 We live for the play dates with the moms' in our playgroup. From crafting, to visiting local sites, to taking turns trashing each others playrooms...we do it all. And we love it! But every once and a while, it is really great to go out and do something for ourselves. 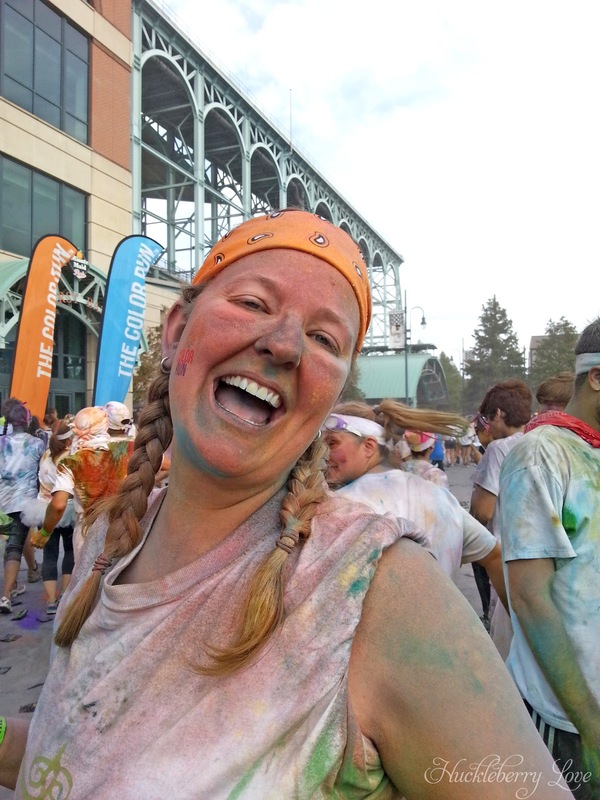 Which is why we decided to do the Color Run together. 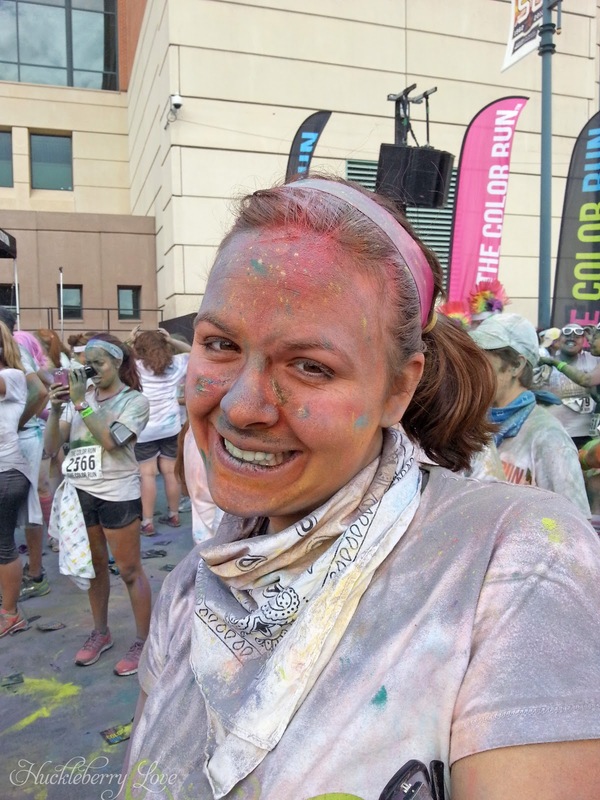 The Color Run is a 5K run/walk that focuses more on the fun aspect of a race. You know, the whole "It's the journey not the destination", which is totally what this run was about. 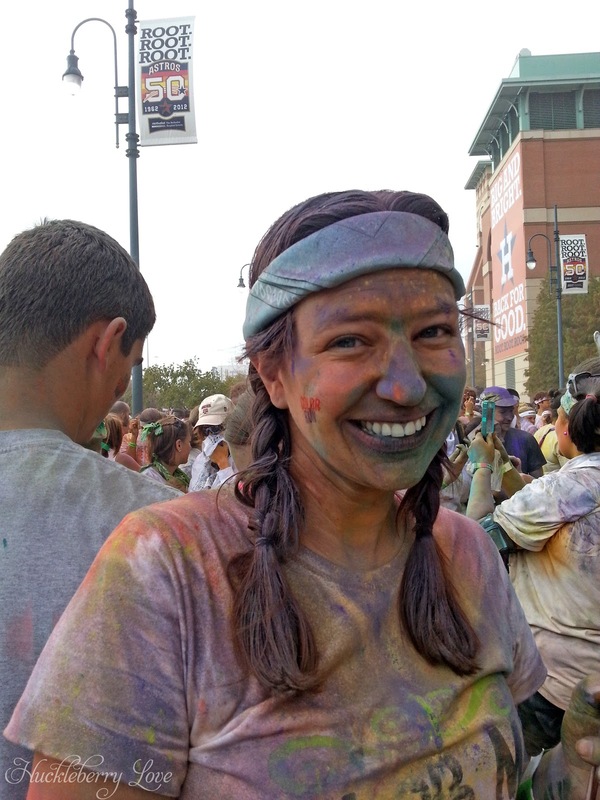 Every kilometer of the race had volunteers who hurled different colored powder at you (which is a lot more fun than it sounds, trust me). So everyone started out wearing white shirts and ended up looking like hippies who did a very bad job tie dyeing their shirts. It. Was. Awesome! Since we did the run as a group, we had a team name: Color Me Mommy. Sweet name, right? We decided to make shirts emblazoned with this name to unite us in our cause. 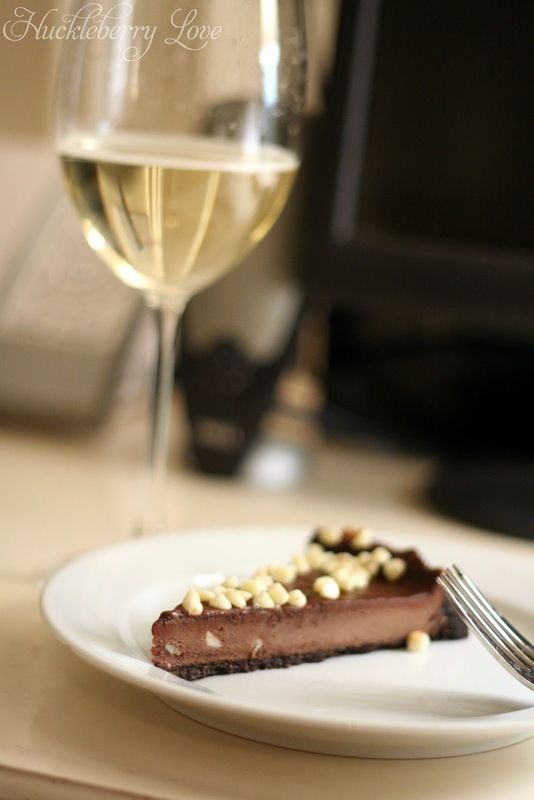 Or because we wanted an excuse to get together, paint, drink wine and eat cheesecake. Whichever. Not necessary for the project but it is definitely recommended. 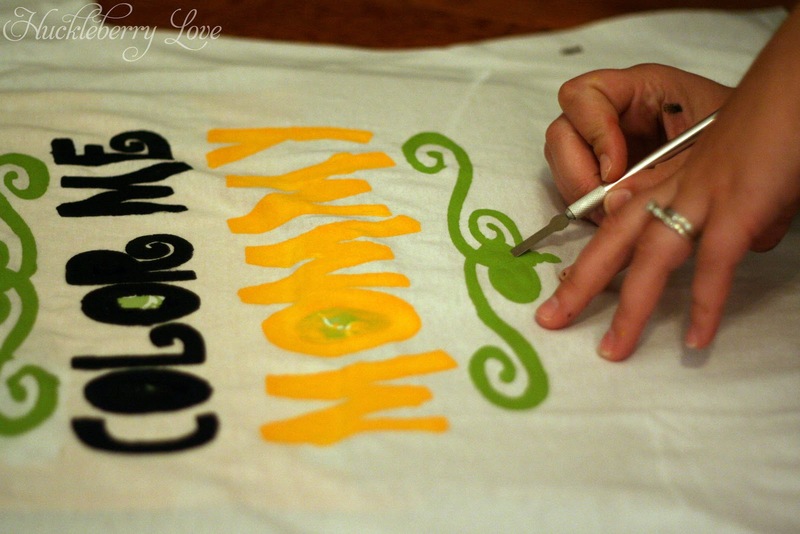 Making the group shirt was really fun, and, if you follow our tips, pretty simple! 1. Decide on your design! To me, this is the hardest part. There are so many amazing fonts out there that I have a difficult time narrowing down my favorites. But I know you can do it! 2. Once you have finally decided on your design, cut it out. (Anyone else have a flashback to Full House? Just me? Ok.) If you have a Silhouette or similar cutting machine, this part is fairly simple. Just run your contact paper through the machine. 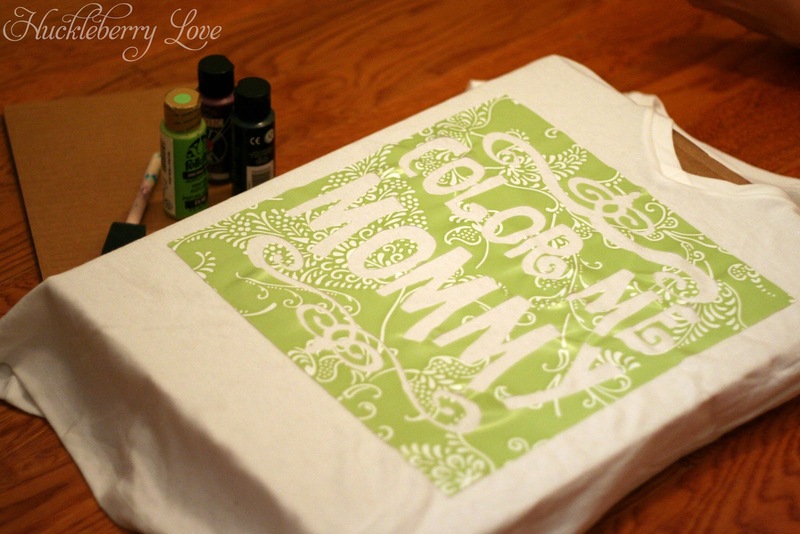 I use the cheap-o contact paper from Target instead of the expensive stuff from the Silhouette store, when making my own shirt stencils. I have found for these type of projects that there really isn't much of a difference. If you don't have a fancy machine, then you have to do it the classic way: print, trace and cut. As moms, we have learned to do all sorts of things one handed. 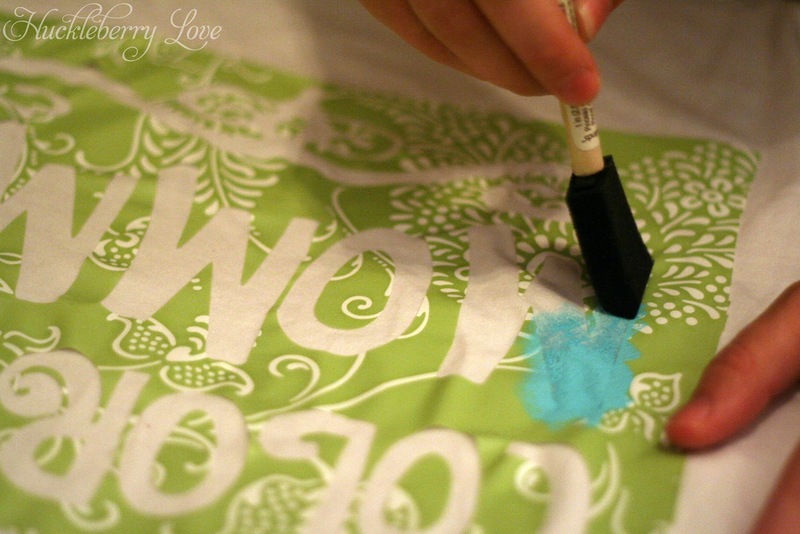 Even stenciling an awesome shirt. 3. Weed your design. Which basically means removing all the parts of the design that you want to be painted. 4. Now, CAREFULLY remove the contact paper from it's backing and apply to your shirt. You can move it around a bit if you need to in order to get it exactly where you want it. Once you have the stencil in the correct spot, press that baby down. I like to use a credit card to really smooth it out, especially around the edges where the paint may have a chance to leak through. 5. PAINT! 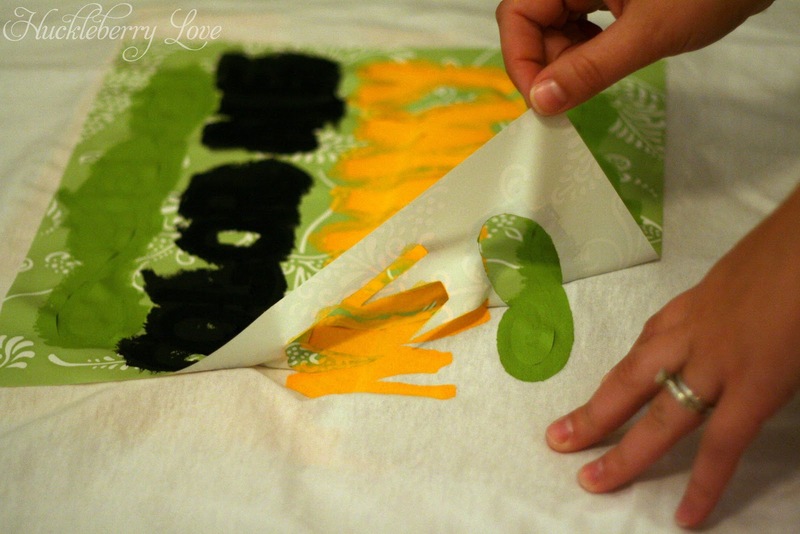 For stenciling shirts, I have found that gentle patting with a foam brush, that has very little paint on it works the best. In a way, it's similar to spray painting: several light coats are better than a few heavy coats of paint. Don't forget to slide your piece of cardboard between the front of your shirt and the back, or the paint will leak through. 6. 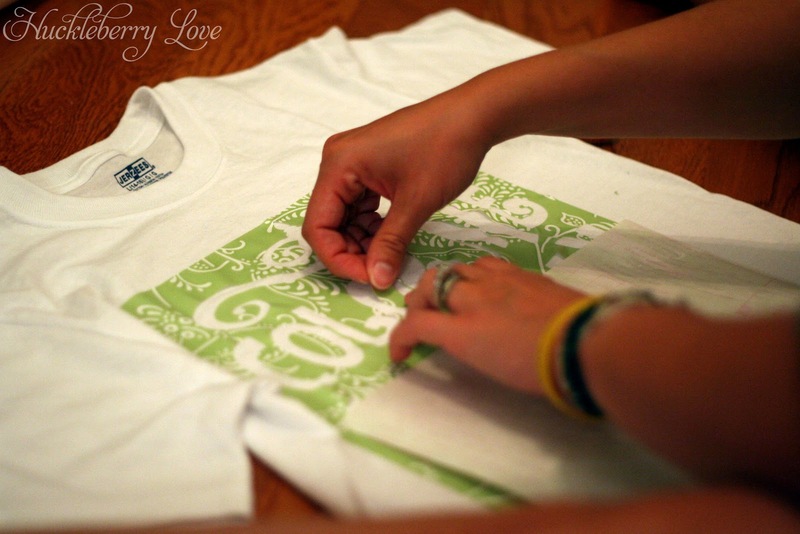 Let your shirt dry completely before you remove the stencil. Trust me on this one. You can use a hairdryer to speed up this process. Then, slowly pull your contact paper stencil off the shirt. If you have any small pieces to remove you can use an Exact-O knife to gently pry them off. 7. Wear your shirt and represent. 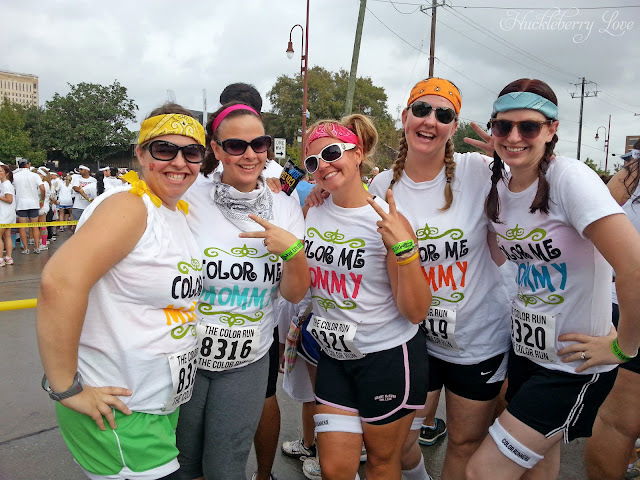 Team "Color Me Mommy" before the race. So fresh and so clean, clean! 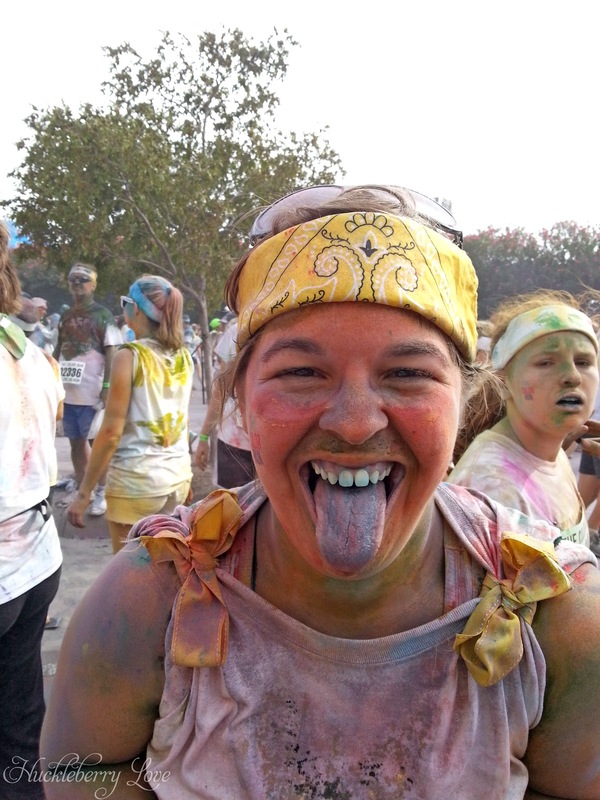 Yes, that is a blue tongue! 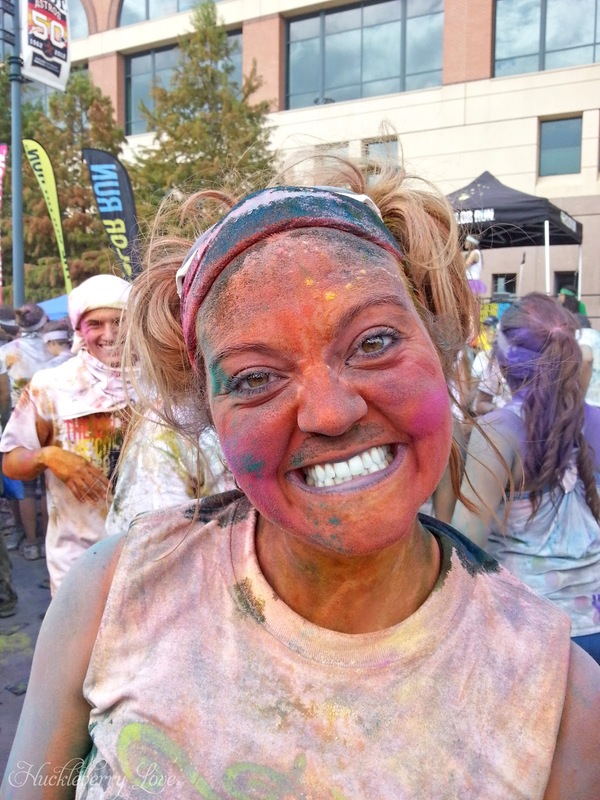 Oompa Loompa or Jamie? You decide. Now we're team Color Me Dirty! What about you? 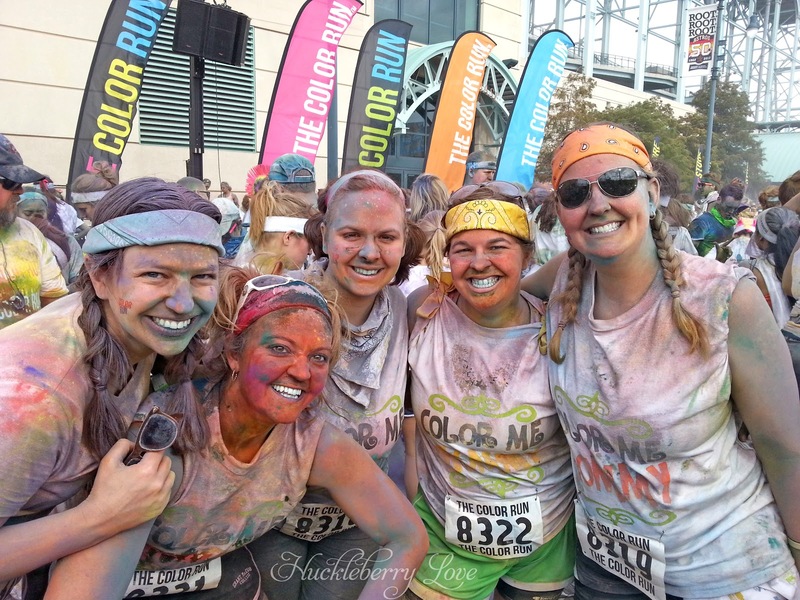 Would you ever do the Color Run? Or do you prefer a cleaner, more sane race environment? Let us hear from you!